Uber private cab service now launched its food delivery app called 'Uber Eats' in Riyadh, the capital city of Saudi Arabia after a successful launch of it in the cities of Dubai and Abu Dhabi in United Arab Emirates. - Residents of the Riyadh city can now use 'Uber Eats' app or its online website for ordering the food they like in their favorite restaurants around the city. Riyadh became the third city for Uber Eats service in the Middle East, According to Uber, it has partnered with more than 100 Riyadh restaurants including PizzaHut, McDonalds, Cafe Bateel, Manoosh and Hamburghini. 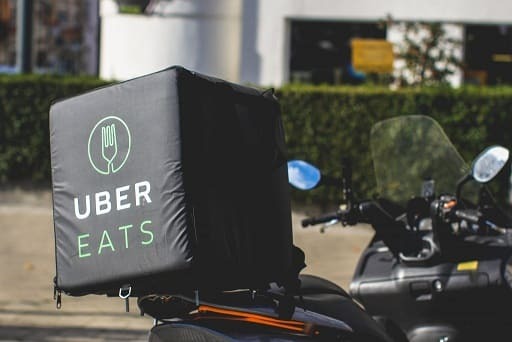 - Uber Eats app promises to deliver your ordered food in an average of 30 to 40 minutes, It has a feature of cash payment on delivery, which is not available in this app for any another city out of 200 cities except Riyadh. - According to Souq.com Payment unit, Cash on delivery is the most used payment method in the Middle East countries as they corcerns about their security of credit cards, etc,. - Uber has redesigned its app in Arabic for the use of local people in the Middle East countries. The company says just like our rides business, we know the importance of building technology to meet the everyday needs of the locals.